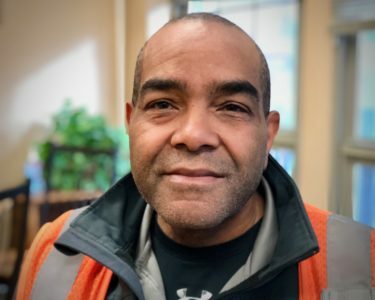 When AAPS bus driver Robert Edwards was a basketball referee in California years ago, he would sometimes stop the game to help a crazed coach calm down. He’d remind him that cursing was not allowed; that the kids deserved better; that the court is an extension of the classroom. Edwards says his experience as a coach, foster parent, and parent of three has helped him relate to the students he drops off and picks up from Burns Park and Huron High every school day. Burns Park Assistant Principal Laura Wolf says all that experience and wisdom benefit the students he transports from sites furthest from school. She says he helped her determine who needs gloves or hats and has offered to get some if needed. And Just before winter break, he brought wrapped presents for each of his 14 riders. “One of the students was so excited to get Kinetic Sand—something he had never had before,” she noted. 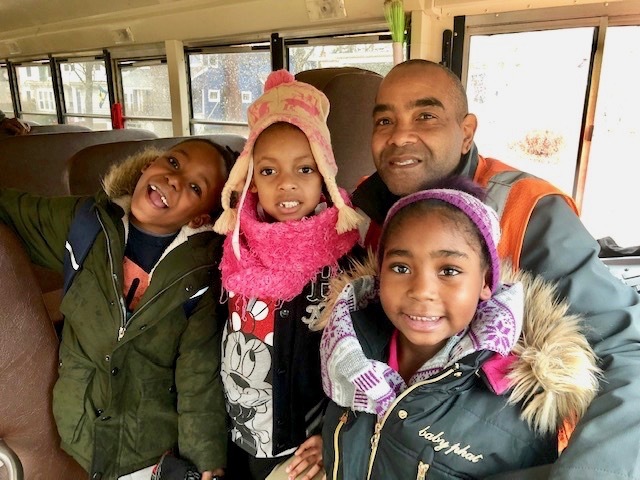 Many people have no idea what a difficult job it is to drive a school bus, said Ed Gallagher, general manager of Durham School Services-Ann Arbor. He said drivers such as Edwards take an active and sincere interest in the students’ achievements and well-being, and students often come to them for guidance or just someone to talk to. “They can and often do have and leave a positive, lasting effect on the students they transport,” he said. 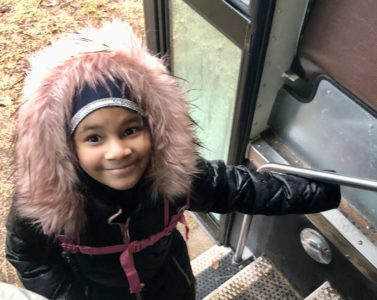 Durham School Services-Ann Arbor employs about 130 drivers for the 113 general education and special needs routes and numerous field trips that are covered every day. This includes drivers who do their same route every day and drivers who are considered casual drivers or sub drivers who only work certain days or certain shifts and fill in for drivers who are off for whatever reason. Edwards was born and raised in Ypsilanti, graduated from Belleville High, attended college in Chicago, and kept heading west until he discovered the San Francisco Bay area. He lived there for 30 years, raising three children, working in healthcare finance, being a foster parent, and serving as a sports official. He moved to Alabama in 2015 to work on his 93-year-old father’s cattle and horse ranch and then moved back to his hometown of Ypsilanti. So now he’s an Alabama cowboy in the summer and during winter breaks, and a bus driver during the school year. He agreed to become a driver because he liked the part-time hours and hourly salary. But he quickly came to love it because of the kids. He sometimes talks to kids about healthy lifestyle choices—from flossing to choosing water over a soft drink. 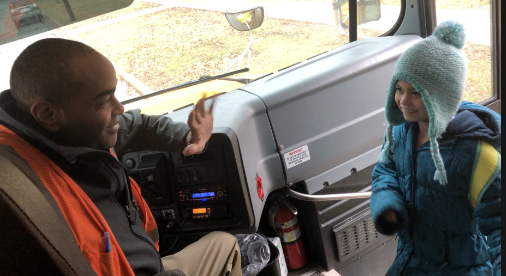 Burns Park and Huron are new routes for Edwards this year, and he noticed at the beginning of the year that despite the presence of a monitor to help keep the elementary kids in their seats while he drove, they were testing their limits. In addition to his consecutive Huron and Burns Park routes, he drives an after-school route at Tappan. If there’s a basketball game at Tappan, he’ll usually go inside and watch. After one game in which the Tappan team lost, he noticed one boy who was particularly sad about it. Edwards is always mindful to encourage them when they need it.